Apple is putting the finishing touches on an entirely new 15-inch MacBook Pro that is the outcome of years of research and development in ultra-thin mobile computing and super-high-resolution displays. According to trusted sources in Apple’s supply chain, who have handled prototype components and casings for the new Apple notebook, the computer is currently undergoing test production rounds. The new 15-inch MacBook Pro is coming this summer, and it features an ultra-thin design, a “jaw-dropping” Retina Display, and super-fast USB 3. The revamped design: While many have speculated that the new 15-inch MacBook Pro will pickup the design from the late-2010/mid-2011 MacBook Air, sources familiar with the prototype units say that this is untrue. Instead, the new 15-inch MacBook Pro is described as being an ultra-thin version of the current MacBook Pro. Basically, the prototype design is a thinner, yet more robust, version of the late-2008 design. It has no tapering like the MacBook Airs. This new design serves as an apparent solution to Apple’s hinge troubles with the cancelled ultra-thin 15-inch notebook for late 2010. As the MacBook Air pioneered, and the latest Mac mini models have followed, the new 15-inch MacBook Pro loses the optical drive in order to reach Apple’s new standard for notebook thinness. Apple has made it clear that professionals could lose the optical drive in favor of the wildly popular Mac App Store for software installations. Take Final Cut Pro X or Aperture for example. For those few who still need an optical drive, Apple has been selling a USB Superdrive since the first-generation MacBook Air launched. While the new MacBook Pro does not take all of the external design cues from the current MacBook Air, it does adopt the tweaked MacBook Air keyboard design with the power button on the keyboard itself (which replaces the disc eject key). This is according to the sources who are familiar with the components being installed into the new casings. 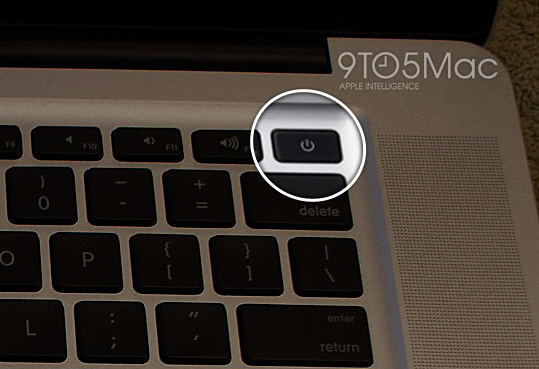 Current MacBook Pros have a round aluminum power button to the top right above the keyboard. The rest of the design is basically what we are all familiar with: charging and connection ports along the sides, and a spacious glass Multi-Touch trackpad (either same or similar in size to the current MacBook Pro and MacBook Air trackpads based on the cutout present in the prototype unibodies). The current prototype unibody casings going through test production have spaces for a charging port, two USB ports, two audio in/out-sized ports, and the battery meter on the left side. The right side is said to have cutouts for two Thunderbolt-sized ports, an SD card slot, and another USB port. Notably, these prototype unibodies lack room for Ethernet (Apple sells adapters since the MacBook Air lacks an Ethernet port). We’re unsure about Firewire but that could also be gone. Apple will also introduce the Mac Retina Display in this new MacBook Pro, according to these sources in the far-east. The display is quoted as “jaw-dropping” and “definitely the most important Mac innovation in years,” by sources familiar with the quality of the screens in test-production. When the Retina Display on the 3.5 inch screen of the iPhone 4 launched in mid-2010, people were shocked at how gorgeous a screen could be. When the third-generation iPad launched earlier this year with its 9.7 inch 2048 x 1536 Retina Display, people were again amazed by how brilliant colors could appear and how sharp text could seem. With that in mind, imagine the sharpness of text and the beauty of images on a 15-inch professional Retina Display-packing notebook. Sources familiar with software strings left behind in OS X Lion 10.7.4 and Mountain Lion betas say that this Retina Display MacBook Pro features multiple Retina resolution modes, so users are able to adjust the sharpness and image sizes to their liking. Unlike Mac display settings of today, these Retina Display settings will not be marked with numbers/resolution sizes, but with descriptions such as big, small, or optimal, according to these software-based findings. The long-awaited “resolution independence” is upon us. Also a new addition to the MacBook Pro (and actually to the Mac itself) is a USB 3 port. Apple has long been testing Macs with USB 3 ports, but it sounds like the new MacBook Pro will be the first to actually sport the next-generation connector. Our sources in Apple’s supply chain say the aforementioned USB ports on the left and right sides of the prototype unibody casings have slightly different component cables that attach the ports to the computing components housed inside of the internal structure. While some speculated that Thunderbolt was Apple’s choice instead of USB 3 (perhaps due to better support from Intel), USB 3 will actually run on these MacBook Pros as a complementto Thunderbolt, as mentioned earlier in this report. While third-party USB 3 cards and Hackintoshes have run “Super-Speed” USB 3 and have shown up in the System Profiler previously, sources familiar with Apple’s software strings in 10.7.4 and 10.8 betas also have provided evidence for USB 3 Macs coming soon. One source identified two new strings pointing to USB 3 Macs (both shown below): one mentions 5Gbps USB transfers (which is the speed of USB 3), and there are actually two explicit mentions of “USB 3.0.” These references didn’t exist before. Next, I created a 10-gigabyte folder comprising Word, PowerPoint, and Excel documents, as well as larger video and JPEG photo files. Using the 3.0 drive, the 10-gigabyte folder transferred to the U.S.B. 3.0 drive in 6 minutes, 31 seconds (write speed). The U.S.B. 2.0 drive took 22 minutes, 14 seconds to copy the same 10-gig folder. In other words, the U.S.B. 3.0 drive copied the data roughly 3.5 times faster than the U.S.B. 2.0 drive. That’s far short of the touted 10X performance gains, but it’s an improvement that you’ll definitely notice. 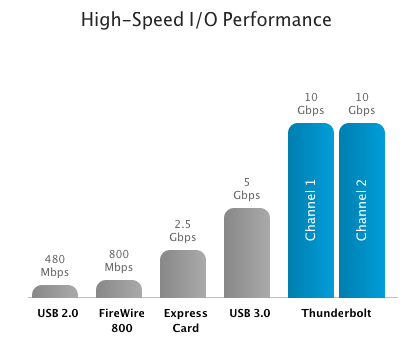 While much faster than USB 2.0, USB 3.0 still trails Thunderbolt’s maximum of twenty-times better performance than USB 2.0. 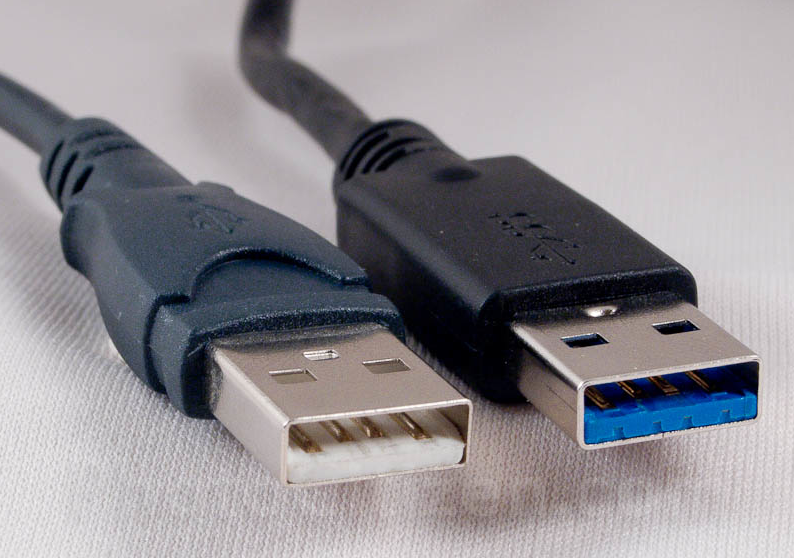 USB 3.0 is also backwards-compatible to USB 2.0 attachments and products, so users should not fear the change whatsoever. Graphics card information is currently unconfirmed at this point because Apple is prototyping a few different graphics chipsets with the new MacBook Pro bodies, according to sources. 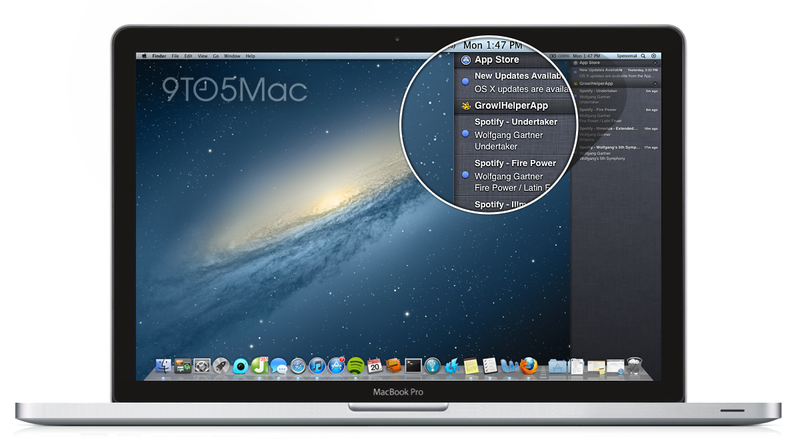 However, we’ve seen direct references to the fairly new NVIDIA GeForce GT 650M graphics card in OS X beta code. According to NVIDIA, this chip offers incredible dedicated graphics performance for gaming and other tasks, all while apparently being battery-life efficient. A card perfect for a high-end professional notebook. We’ve also identified references to Ivy Bridge processors in the aforementioned OS X beta code. Ivy Bridge and the aforementioned GeForce 650 graphics chip are coupled together in recent PC hardware releases, so seeing the two chips together in the new MacBook Pro is sensible. The new Intel Ivy Bridge series includes a slew of quad-core i7 processors, including ones with improved power efficiency, so we’re probably looking at these new MacBook Pros coming mainly in quad-core configurations. This makes sense given that all current-generation 15-inch MacBook Pros run on quad-core chips. Completely separate from our aforementioned information, a new GeekBench reference to a MacBookPro9,1 has appeared. GeekBench is a popular service that measures performance of computers, smartphones, and tablets. 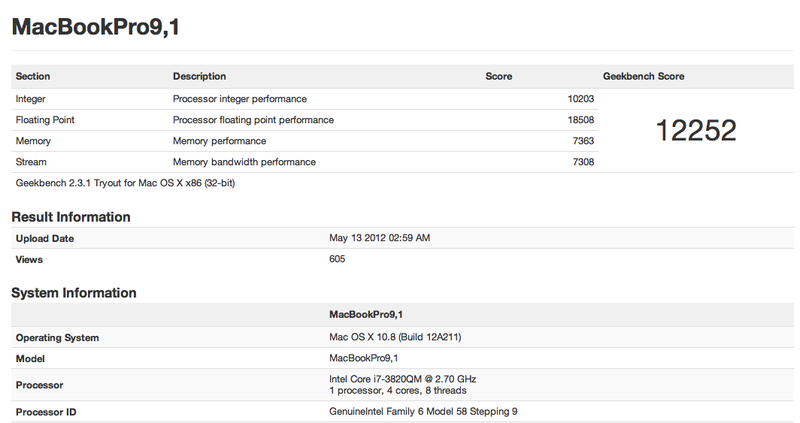 This benchmark page says the MacBookPro9,1 has a 2.7GHz Ivy Bridge quad-core processor and 8GB of RAM. The machine is also said to be running a build of the upcoming OS X Mountain Lion. GeekBench scores are easily able to be faked, so we wouldn’t put too much trust into the benchmarks. However, GeekBench has caught legitimate unreleased Macs in the past. Precise release information such as launch dates (other than summer) and pricing were not available from these supply chain sources. 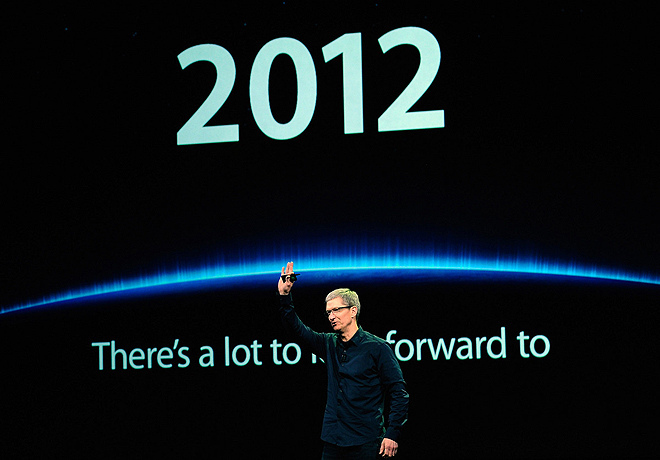 With WWDC nearing, though, and Apple promising very exciting products for 2012, we hope to see these notebooks in June. In any case, with an ultra-thin design, Retina Display, and new USB 3 port, the new 15-inch MacBook Pro is going to be one of the most exciting mobile computer launches of the year. Thank you Spencer Caldwell for the mockups!